We offer courses both at pre-set times and upon request. Our courses are arranged according to the educational ladder of the Norwegian Canoe Association - which qualifies for a sertificate after completing the course. You will be introduced to the kayak and the equipment. 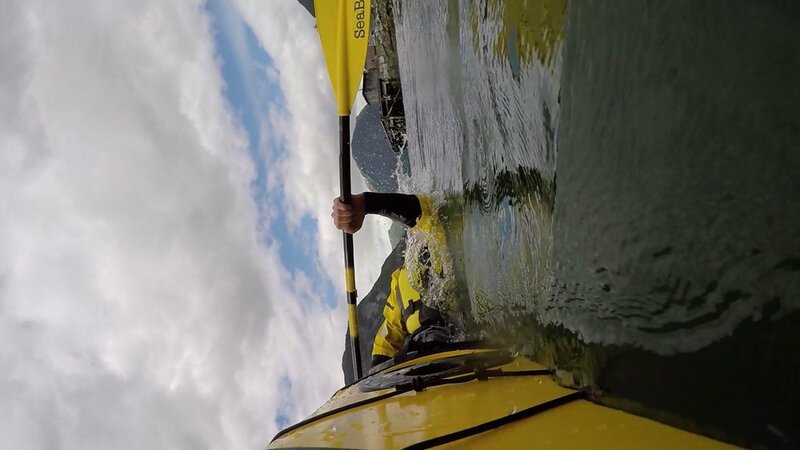 This course is a short and basic introduction that will hopefully inspire you to continue kayaking. Duration: 3-4 hours. We offer this course on request. The course qualifies you for a sertificate from the Norwegian Canoe Association. You will be introduced to the kayak and the equipment. After completing the course you will know how to manouver the kayak, use the padle and the safety equipment. In addition you will know the basic resque techniques. The course qualifies you for a sertificate from the Norwegian Canoe Association. Gaining confidence in your roll will make you a better paddler and give you an edge when taking your skills outdoors. We will offer this kayak roll clinic in an indoor pool - which gives us the advantage of a secure and comfortable environment to practise in. This class is designed to help progress your skills.